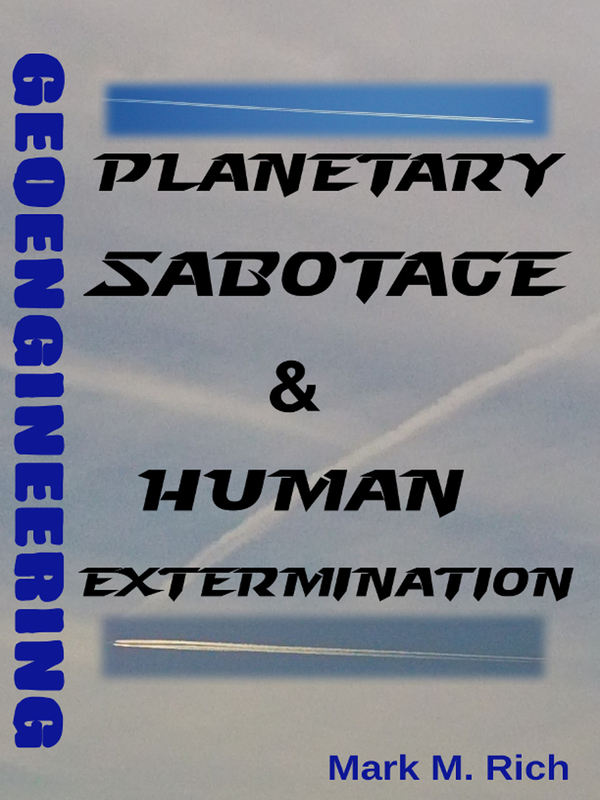 When I first encountered the geoengineering subject, I intended to explain it in one of my usual updates. However, after realizing the enormity of the issue, I decided that it required more attention. So, I'm currently working on a geoengineering article. What I've found is basically this: Wealthy eugenicist-psychopaths are using the military to drop poison on the population. During my studies over the last decade, I've discovered that the same names keep appearing over & over again. 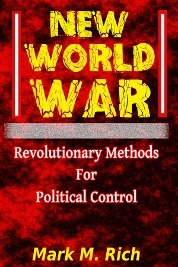 Whether it's the subversion, overthrows, wars, global government, or eugenics, it's always the same people & groups. Any student of history knows who they are. The aerosols they are dispersing contain aluminum, barium, strontium, & biological particulates. The toxins are in the soil, the air you breath, & the water supply. Officially, these operations do not exist. For years the media, scientists, government agencies, & environmental groups have concealed this. However, thousands of eyewitnesses all over the world have taken pictures of modified military jets spraying these particulates. The soil, water, & air samples that have been conducted at laboratories on behalf of virtuous citizens, perfectly match the aerosol particulates. The photographic & physical evidence is now overwhelming. 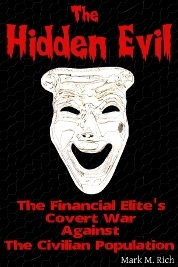 Now that it can no longer be denied, the psychopaths appear to have initiated the next phase of the coverup. This includes a global warming cover story. It is implied that these aerial operations are humanitarian efforts to save the planet. In reality, geoengineering appears to serve some other destructive purposes, including weather warfare & population control. The particulates create a conductive atmosphere so ionospheric heaters can more easily manipulate the weather. The evidence suggests that they are using these facilities to attack US states & other countries with storms, deluge, & drought. Some additional reasons for these weather attacks are land seizures, & negative eugenics through starvation & disaster. These unnatural events are increasingly visible, even though their weather agencies have attempted to conceal them. The soil & water supplies have been poisoned. The air is laced with the nanoaluminum. The planet is rapidly becoming uninhabitable because they are deliberately & systematically destroying the ecosystem. There are mass deaths of animals & plants all over the world, which the media is portraying as natural events. The nonprofit environmental groups under their dominion are not interested in this matter. Similarly, US government agencies, such as the Centers for Disease Control (CDC) & the Environmental Protection Agency (EPA), will not investigate. This endeavor has a notably eugenic feature. Multiple scholars on this subject have determined that the chemical & biological particulates contained in these aerosols are directly contributing to a surge in diseases that has occurred over the last few decades. 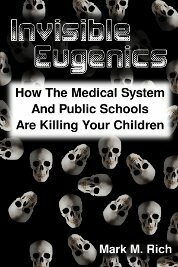 These includes: cancer, Alzheimer's; autism spectrum disorders (ASD); Morgellons; childhood diabetes; asthma; emphysema; bronchitis; & heart disease. They are no longer content to slowly kill you with their vaccines, medication, pesticides, & GMOs. Now they are dropping the toxins directly on the population. Your cities & towns are under severe chemical & biological attack! Do not wait for their media or government agencies to confirm this. My article, with supporting evidence, will explain this in more detail. It should be available by August. See the film, What in the World Are They Spraying? The Chemtrail Geo-Engineering Coverup Revealed, by Michael J Murphy. Also visit these sites: www.carnicominstitute.org; www.geoengineeringwatch.org.